Rangers Under-20s boss Graeme Murty has revealed that forward Andy Dallas will not be happy despite scoring a hat-trick for the Gers reserve side against Kilmarnock on Monday. The Under-20s side hammered Kilmarnock 5-0 as they rode on Dallas’s three goals to go five points clear at the top of the SPFL Reserve League. Murty feels that the young forward is hungry for goals and he will not be the happiest as he could have scored more goals on the day. 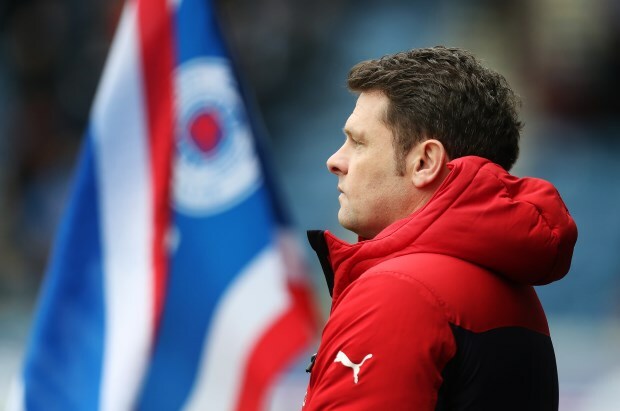 “He will be quite down as he thinks he should have had more – but that is a good trait to have as he is hungry to get goals”, Murty told Rangers’ official website after the game. “The team that we are, it is down to us to create goals and it is down to Andy to make sure he gets on the end of them. The 19-year old has been in good form for the Under-20s side and with Umar Sadiq struggling to make his mark, Dallas will hope he can break into the first team picture. The Rangers Under-20s have now scored 11 goals in their last two outings and will hope to keep up their impressive form when they take on Rapid Vienna in their next game.